We’re finishing our tour with a shopping trip in London today. 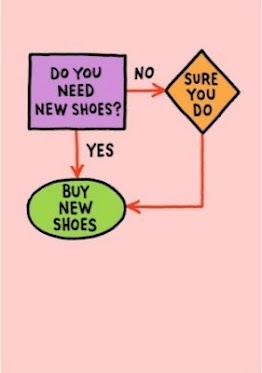 This flow chart will help me with my purchasing decisions. That will help me with future shopping decisions as well. Thank you!